1. If you did the training yourself, you probably realized we can’t train the system on the whole dataset (I chose to train it on the first 2000 sentences). 2. The dataset is so huge – it can’t be loaded all in memory. 3. We achieved around 93% accuracy. That might sound like a good accuracy, but we might be deceived. Named entities are probably around 10% of the tags. If we predict that all words have O tag (remember, O stands for outside any entity), we’re achieving a 90% accuracy. We can probably do better. 4. We can come up with a better feature set that better describes the data and is more relevant to our task. We are used to showing all the data we have at once to our classifier. This means that we have to keep all the data in memory. This can get in our way if we want to train on a larger dataset. Keeping the dataset out of RAM is called Out-Of-Core Learning. There are certain types of classifiers that accept the data to be presented in batches. Scikit-Learn includes a few such classifiers. Here’s the list: Scikit-Learn Incremental Classifiers. The process of learning from batches is called Incremental Learning. The classifiers that support Incremental Learning implement the partial_fit method. In the previous tutorial, we created a method of reading from the corpus that didn’t keep the whole dataset in memory. It was making use of the concept of Generator. The training method should receive a generator. It should only slice batches from the generator, not load the whole data into memory. We’re going to train a Perceptron. It trains fast and gives good results in this case. Keep in mind that we will use the partial_fit method. Because we don’t show all the data at once, we have to give a list of all the classes up front. We’ve achieved a whopping 4% boost in performance. That’s huge at this level. It’s exactly the percentages that count. Congrats, you just trained a NE-Chunker with a 97% accuracy. The more data you use, the better. Keeping things on-disk, rather that in RAM helps us train on larger datasets. Scikit-Learn includes models that can be incrementally trained. Using a more fancy classifier isn’t always the best solution. 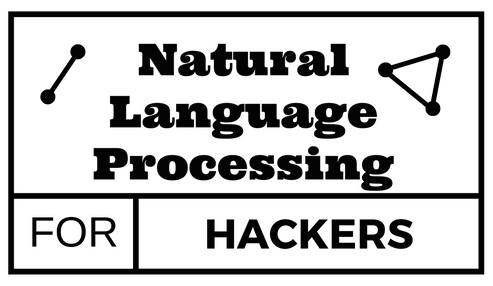 If this was too abrupt for you, check out the Complete guide to training a NER System (Named-Entity-Recognition). Thanks for this nice tutorial. I have been trying out some examples with your code. I run into problems when running the train methos. How do you call the method to train the corpus und test it agianst new data? The error you are getting indeed means that the training has not been performed. Mind that there are some changes (even the corpus read method) and I recommend starting from scratch. Does running the train_perceptron() function work? If not, what’s the issue? But it is just the same code as in the post and the corpus is the same (“gmb-2.2.0”). I checked the “def ner_features”, I dont really understand why it is out of range? Is there something wrong with “read_corpus_ner()”? It seems is not passing the data in proper format. Any advise about this issue? Should I use another formating for input data? I don’t know what to tell you 🙂 Seems to be fine to me. Maybe some good ol’ debugging is in order. Let me know if you figure things out. Thanks for your replay. I think the problem is how the corpus data is being passed to the classifier, or how the classiier is interpreting the data. I see you have a parsen function in the ScikitLearnChunker class, do the data need to be parsed before the classification? How would you call the train_perceptron() function. I think this is a good clue, scince I using the same corpus data as you. Hi although this might be a bit old. If you use python3 then the zip behaviour changed. You need to change line 17 in the ScikitLearnChunker to tagged = list(zip(words, tags)). Then in def ner_features you don’t pass an empty list on the different iterations. Nice tutorial I enjoyed it! Only question I have is with regards to the dictionary vectorizer. This is only being fitted on the first iteration so your vector space is surely defined by the first batch of data. What if you have words, features, word shapes etc that haven’t been seen in this first iteration? Looking at the sklearn docs it seems their feature values will always be 0? Therefore I’m struggling to see how this can ever outperform the in-core approach to fitting the classifier. Do you know of a way to account for this? – We get new unlabelled data. We “re-fit” the vectorizer with the new data. What should the classifier do with the new “words” provided by the vectorizer since it doesn’t have labels for the new samples? Thanks for the response! But I mean even during training the vectorizer is only fitted on the first batch so any new words, parts of speech, stems etc in the subsequent partial-fits will all be given a value of 0. Whereas with the in-core approach they will not as they will all have gone through the fitting and transforming of the vectorizer. I used the exact same code. But i get a list index out of range error. I have been trying to fix this, but no luck. So i tried the same code with python 2 and python3. When run on python2 it does not produce any error however when run on python3 it produces the error. I think the cause of the error is the difference in behavior of zip() between python3 and python2. That has to be it. Thanks for looking into this! I had the same problem. Python 3 return an iterator, so you have to wrap the zip call in to_dataset into a list(zip(words, tags)) and then everything works. Even though the GMB corpus has tokens with the ‘art’ ner tag, the model doesn’t seem to be getting trained on it. Is there anything that has to be changed in order to get it to recognize artifacts ? I am a beginner in NLP and NER so how should I proceed. Could you please help me out? Great to see such great way of implementing machine learning. Quite impressive! I have a confusion regarding the way you have extracted features. Why haven’t you used next-iob and next-next-iob as features ? How have you done Feature Selection for this problem? I haven’t used next-iob and next-next-iob simply because when you tag an unknown sentence (no from the corpus), there’s no way of knowing what those are. You only know what has already been tagged (prev-iob, prev-prev-iob). My idea is that the memory of my computer isn’t enough, do you have any idea how much is the maximum memory consumption of this program? Have you come across any solution? Thank you for the tutorial. I had the same issue. right here, it shows memory error. I adjusted the number to 5000 already, still showing memory error. Can you help? Can you go even lower to make sure that is the issue? Hi ! Thanks for the nice tutorial guide! It might not be directly related to your post, however, I have some question about NER on specific kind of text. I would be really appreciated if you could help me!! Could you help me …! I’m trying to extract only the companies’ names from the firm’s disclosure data. So, basically, I want to classify every word in a sentence into ‘Non-company name word’ and ‘company name word’. it should label only the ‘Garmin’ and ‘GE Medical’ as company name. At first, I used Stanford NER tagger as it has ‘ORGANIZATION’ tag. However, it quite often tags some common noun as ORGANIZATION. Sometimes it tags words like CONSOLIDATED or STATEMENTS as ‘ORGANIZATION’. I think this is because the disclosure data is somewhat systematically different from general text data on which the Stanford NER tagger are trained. Or, Is there any way that I could train my own tagger(that only needs to classify whether a word is company name or not) following your tutorial? I would be really appreciated if you give any suggestion …! Is the full working example somewhere in github? (in case there were changes since then and just to see a complete working example) thanks. the code is not working, there is no output. can you please help me? Provide please more info. Please note that this works with Python2.7. What Python are you using? hello thanks a lot for such a great series of tutotrial. I am trying to train on my own CSV data consist of words , POS and TAG , can you please help me with that , i.e how to import the csv data here using panda or any other library. how do I use a whole document like movie reviews file to test the ner system? Thanks for the tutorial. Is it posibble to use another chunk-tag scheme other than IOB-tag like BILOU-tag? And can we use other corpus? Of course, you can. As long as you pass an iterable to the NER Chunker, all should go smoothly. What corpus do you have in mind? I have already built POS tagger, but how can you predict NER with POS Tag if there is no training data with POS tag/NER annotated before? By using rule-based method? Can we still using machine learning method? I am confused. Okay thank you. I understand now. I have another question, what happen when we use previous word feature at the start of a sentence? Are the value become null or what? Does it affect the model? Thank you for your answer for my question before. I am trying to implement your tutorial with Multinomial Naive Bayes method but it gives me error. ValueError: Found array with 0 sample(s) (shape=(0, 924)) while a minimum of 1 is required. I am following every step with minor changes and changes clf = Perceptron into clf = MultinoialNB(). Do you know what is the error about? Can you give me an example how to make it run with MultinomialNB? Thank you. I managed to fix it. Thanks for the answer. Hi Bogdani, how to count precision, recall, and F1 score of individual class from the classification above? 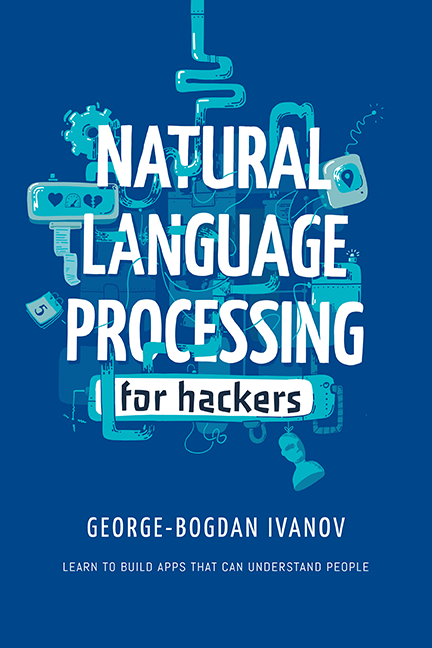 Hello Bogdani, I am curious, why don’t you use Multinomial Naive Bayes or just Naive Bayes like the first NER tutorial? In your tutorial, we use 100% of our data training to be a data test and count the accuracy with function score. How if I want to use another dataset for data test? We are not using the entire dataset for training and testing. Hey My accuracy is not as good as yours it’s around 86 percent. What is going wong? The downside to working in Spanish is the scarcity of annotated data. NLTK’s conll2002 Spanish corpus has just 5,000 sentences. Since a POS tagger is the first step for building a NER tagger, I need to find a good dataset with POS annotations. Do you happen to know where to find a large Spanish dataset?